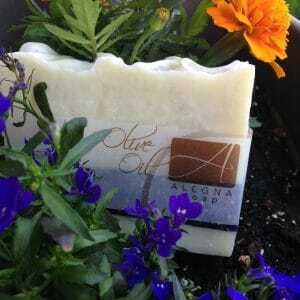 Alegna Soap® Olive Oil Soap is made with 100% olive oil. No coconut oil and no palm oil. It’s a very low lather soap, but so gentle on your skin. Who said you need bubbles to get clean? ?